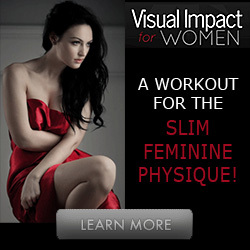 If you are looking for the best fat burning exercise program for busy women, you will want one that gets results fast. You will not want to spend hours that you do not have, walking around your neighborhood or on the treadmill. So you need something that takes up a lot less of your time, and that means a high intensity workout. The best fat burning exercise that most experts recommend is some form of cardio. This will not build huge muscles but it helps to shift that persistent fat from the places where it likes to stick. So how can you find a cardio exercise that does not take too much of your valuable time? The answer is to find something that works you hard. That means running instead of walking, for example. You will cover the same distance and expend approximately the same energy, in a lot less time. And of course, you can still make use of that treadmill in the basement, if you want. Other forms of cardio exercise that you can do at home include jumping rope and calisthenics. Calisthenics involves many different types of exercise. For the best fat burning exercise using calisthenics, consider the cardio moves such as jumping jacks. If you get bored doing the same exercise all through your workout time, then switch it around with interval training. This can be done either on an outdoor circuit or in the gym, and it has the advantage of being adjustable to all fitness levels. So if the idea of running or skipping rope for more than 30 seconds has you panicking, consider an interval training workout instead. If you have access to gym equipment, either at home or through a gym membership, you can mix it up there too. Either figure out a workout that moves swiftly from one machine to another, or plan to use a different machine each day. Most gyms have several pieces of equipment that you can use for cardio workouts, such as a treadmill, a stationary bike and an elliptical machine. After your workout, it is important to take in some carbohydrate. This could be in the form of Gatorade or a similar sugar drink, fruit juice, or whole fruit. But don't skip it thinking that you will lose more weight that way. Your metabolism needs it. There is still one thing that we have not yet covered, and that is: the importance of sticking to your plan. Even if you have the best fat burning exercise program in the world, it won't work if you don't follow it consistently. So if you really hate your workout, find a different one. A workout plan that you can follow is going to be the best fat burning exercise for you. Above all, stay safe! Be sure to warm up and cool down before and after your workout. Begin with a slow and simple form of each exercise, especially if you have not exercised in a long time. Use a heart rate monitor to check that you are not pushing your heart to hard: most of them can be set so that they sound an alarm if your heart rate goes out of your ideal zone. Finally, talk with your doctor if you have any concerns about whether you are fit enough to begin a fat burning exercise program.